"There are developmental milestones in every child's life. When children reach a transition period, they can often be a handful, to put it mildly. Parents can find themselves exhausted trying to accommodate their 8 year old's new found sense of adventure and need for freedom. Or their 13 year old's need to test themselves and discover their limits. These changes occur at different times according to each child but when they do occur it can really be beneficial, to both parent and child, for there to be some space in the relationship. This is where an experienced mentor, and time in the bush, can help..."
Another good question! Because it brings up some of the resistance we have to wildness. For various reasons, wild, in our language, has come to mean something bad, i.e. lawless, chaotic, savage, angry, dangerous and cruel. Whereas the truth is that wild animals are nothing of the sort - they avoid violence where possible and live, for the most part, much more harmonious lives that we do! There seems to be some politics at play here, since a big part of what 'wild' has come to mean is 'ungovernable'. Like a horse that hasn't been broken in by a human. 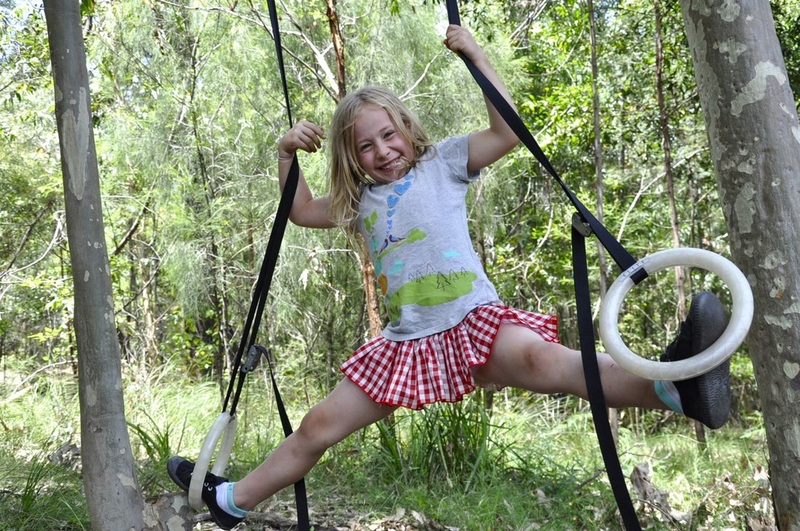 At Bluegum, 'wild' children are not simply children who feel at home in a natural environment. More than that, they are children whose internal authority is intact, and empowered. Imagine raising your family in a tribal village, surrounded by the beauty and peace of wild nature. What if you were able to share the responsibility of childcare with the other members of the tribe - aunties and uncles who could take them on adventures, tell them stories, ask them questions that would ignite the fire of their curiosity. And then bring them back to you at the end of the day, happily exhausted, to cuddle by the campfire and tell you all about it. Imagine a holiday, where you could actually rest, safe in the knowledge that your children were in good hands. Where you had the freedom to walk in the bush, swim in the ocean, read that book, or simply sit and catch your breath and let your mind wander, amidst birdsong and the sound of the breeze in the forest canopy. 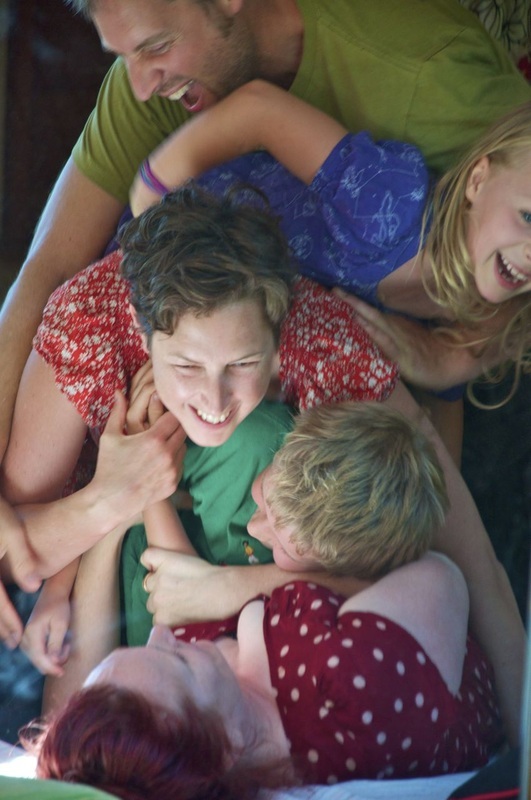 The Bluegum Tribe Experience is an antidote to the pressures of raising children in a modern urban environment. It's a way to restore balance to busy lives, and experience the kind of freedom you deserve; so that you can be present with your child in the way that they deserve. You and your family stay together; eat together in the evenings; sit round the campfire or explore the bush together. 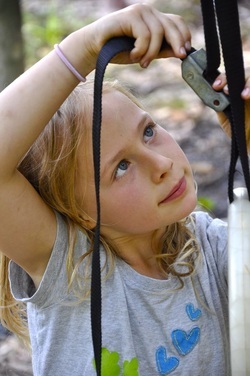 And each day, skilled youth mentors lead nature-based experiences that are tailor-made to meet your child's needs. Small groups ensure high-quality learning and fun. Both girls and boys get to push the limits of their comfort zones, at their own pace, and come back to you with a sense of accomplishment, and a level of empowerment they may not have experienced before. We use 'coyote mentoring' principles, which are found amongst indigenous cultures the world over, to foster a deep sense of connection to the natural world. Working in synch with your child's rhythms facilitates learning at a deep level, in such a smooth manner it's often invisible. Before you know it, kids begin to show understanding of a new ABC: awareness, belonging, connection. 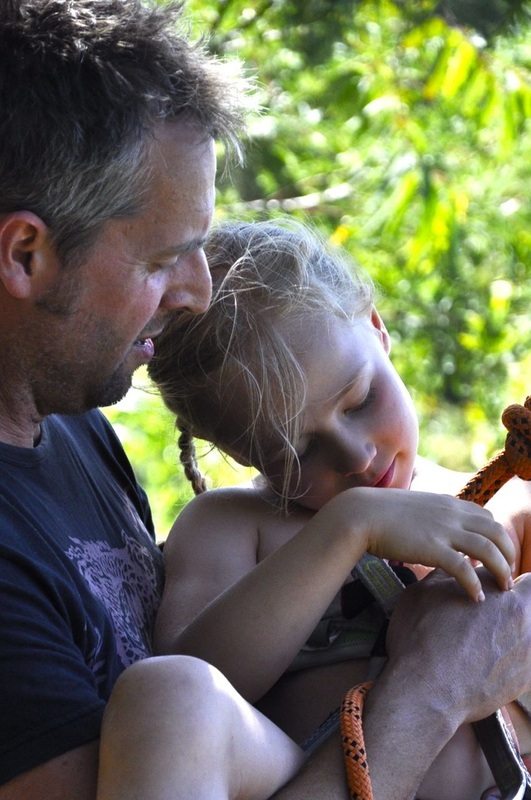 We use the same powerful and proven practices of our hunter-gatherer ancestors, to inspire and awaken children into a healthy, vital and passionate relationship with the world. And because the coyote mentor works with the rhythm and flow of each child, there is no forced effort of concentration, no begrudged assignments. At its best, it can seem from the outside like nothing is happening - just inspired children, following their innate curiosity and their desire to interact with the world. With an occasional prod from a watchful mentor. And yet, again and again we see this simple approach work miracles. Coyote mentoring brings children alive; their internal armour dissolving as they open to the world, step into the truth of who they are and all that they can be. There is magic in watching a child experience what it is to be a human being who is fully connected to themselves, to others and to the world at large. My six year old daughter began the week comparing herself to her older brother, who is eight, and to the other eight year old boy doing the program. At first, she flatly refused to climb the tree and try the giant swing, announcing “Iʼm not as brave as my older brother”. Two days later she approached the tree again; this time she was interested. Without pushing her, Lee asked if she would be interested in simply putting on the harness. Over the next 10 min, Lee, under instruction from Violet, swung her incrementally higher, moving only at her pace. An hour later she swung from the highest branch and spent the rest of her time yelling “higher, higher”. As a parent, I might have lost patience and abandoned the task, assuming she wasn't interested. But I got to see that she is every bit as interested as her brother and in fact very brave. In order for my daughterʼs self-esteem to remain intact, she needed to feel like she had autonomy in the situation. The coyote mentoring used by the Bluegum team is an amazing way for a child to flourish and ultimately exceed their own expectations, overcoming their beliefs around their own capabilities. My daughter doesn't compare herself to her big brother any more! 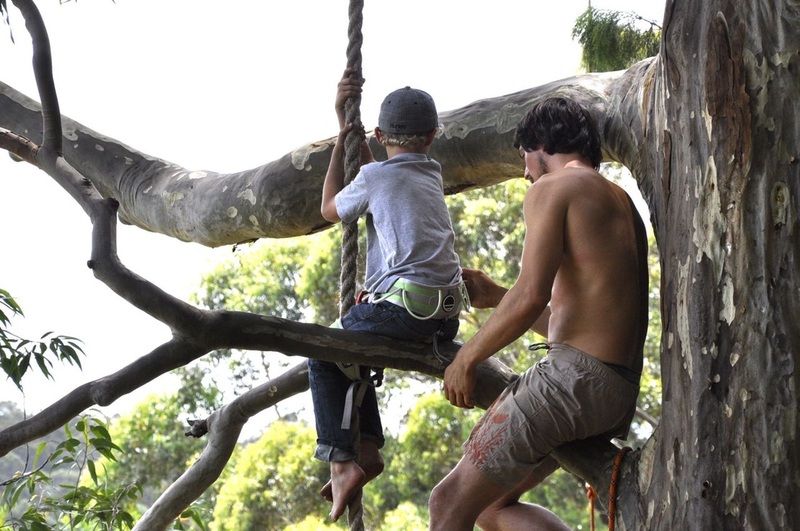 The Bluegum Tribe Experience is a week-long program, held during school holidays (Sunday pm to following Saturday pm). You take your pick from the many local accommodation options on offer in the Jervis Bay area. From luxury five-star pampering, to plain and simple family camping, you'll find what you want at one of the sites below. Or you can chat to us for a recommendation. You arrive on Sunday afternoon, and make yourselves at home in your accommodation of choice. A couple of mentors from our team will drop by to say hello and take the kids for a short walk and some icebreaker games, while parents unpack and de-stress. From then on, kids are picked up by mentors each day at 8am, and dropped off at 2pm; lunch is provided for them. The range and content of activities is tailored to suit the individual needs of participants, and we make full use of the diverse and often breathtaking natural beauty of the local area in our day-trips with the kids. While they learn how to track animals and climb trees, or set out to find which bird is making that call, you get to do whatever you like! The Jervis Bay area is spectacularly well-provisioned with activities, including bushwalking, snorkelling, scuba-diving, fishing, kayaking, surfing, rock climbing, mountain-biking, among others. For chilling out, there are cafes and shops in nearby Huskisson, and a wealth of stunning white-sand beaches. It's no wonder it's known as the Jewel of the South Coast. "Just spent the most sublime week in the stunning Jervis Bay. The kids were led for a week through a rite of passage in bush skills by survivalist / pied piper / open-hearted innovator Lee Trew. Extraordinary must-do experience for all children! Get down to Jervis Bay in the holidays and join this tribe... I feel so moved, open and changed... so blessed my kids have just had their introduction to a rite of passage, tribe, community, nature. Amazing! If you're ever looking for your men to go off and do some bonding, growing, and transforming... Reubs has emerged a grounded, open, soft, respectful man-boy... of course that was already there, it's just all dropped in." "[Lee] is very fun... he's always there to help and he told me the secrets of the bush." There are many travel options: Jervis Bay is an easy 2.5 hrs drive from Sydney, or a full day drive from Melbourne. If you'd rather take the train, we can pick you up from Bomaderry train station (30min away by car). Jervis Bay is easy to get to, and we send full directions with rego information. The southern peninsula of Jervis Bay includes Booderee National Park with its stunningly beautiful beaches (nearby Hyams Beach boast the whitest sand in the world, according to Guinness Records). To the north is Seven Mile Beach National Park in Gerroa, and to the south lies picturesque Lake Conjola and world-class surfing breaks near Ulladulla. 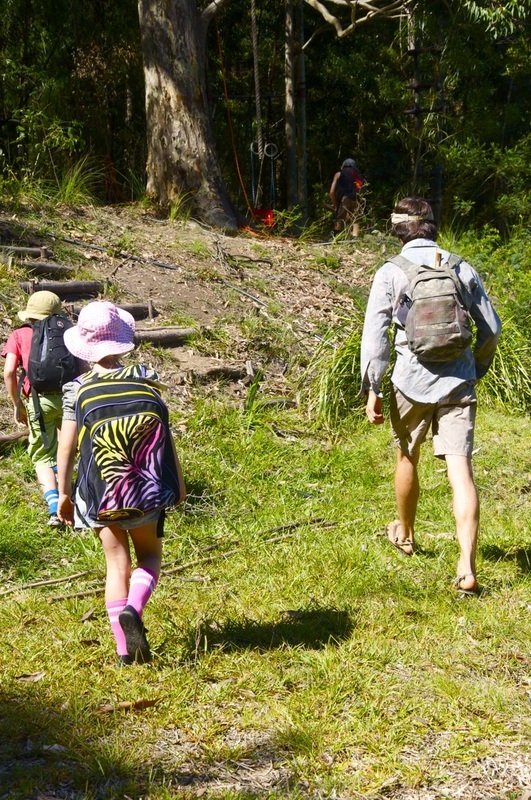 Inland from the coast, the epic wilderness area of Morton National Park sprawls in all directions and, further afield, the famous Budawangs mountain range. We take younger kids, as long as they are ready to spend a day away from their parents. Activities can easily be adjusted according to the developmental needs of each age. If the kids are up for it, so are we. Older kids are fine too, all the way up to teens. We make sure groups are of similar ages, so whatever age your child is they will be with peers. There are developmental milestones in every child's life. When children reach a transition period, they can often be a handful, to put it mildly. Parents can find themselves exhausted trying to accommodate their 8 year old's new found sense of adventure and need for freedom. Or their 13 year old's need to test themselves and discover their limits. These changes occur at different times according to each child but when they do occur it can really be beneficial, to both parent and child, for there to be some space in the relationship. This is where a skilled mentor, and time in the bush, can help. How come parents can't join in too? Okay, I'm in! How much is it, and how do I sign up? 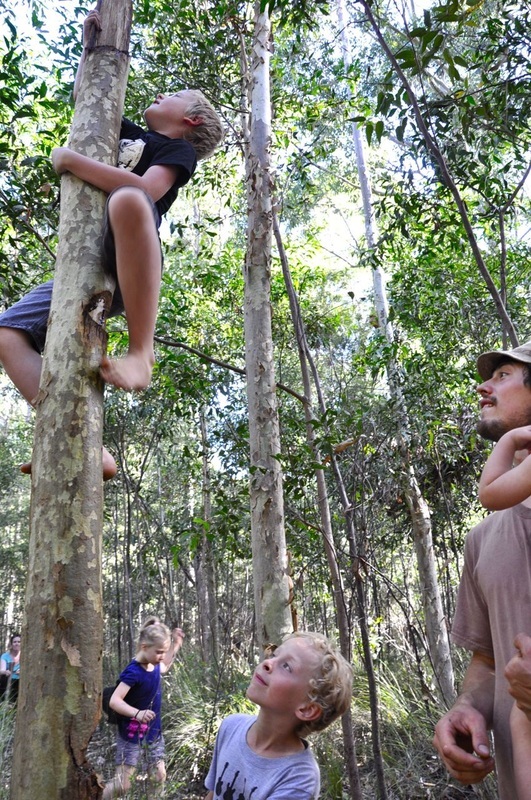 The cost of the Bluegum Tribe Experience is $850 for the first child, $780 thereafter for extra siblings. We'll get back to you to confirm your date preferences and send you a registration form. You send us the completed form along with a 33% deposit which secures you and your child's place on the program. Full payment must be received at least 30 days prior to arrival. Come join the Tribe today!